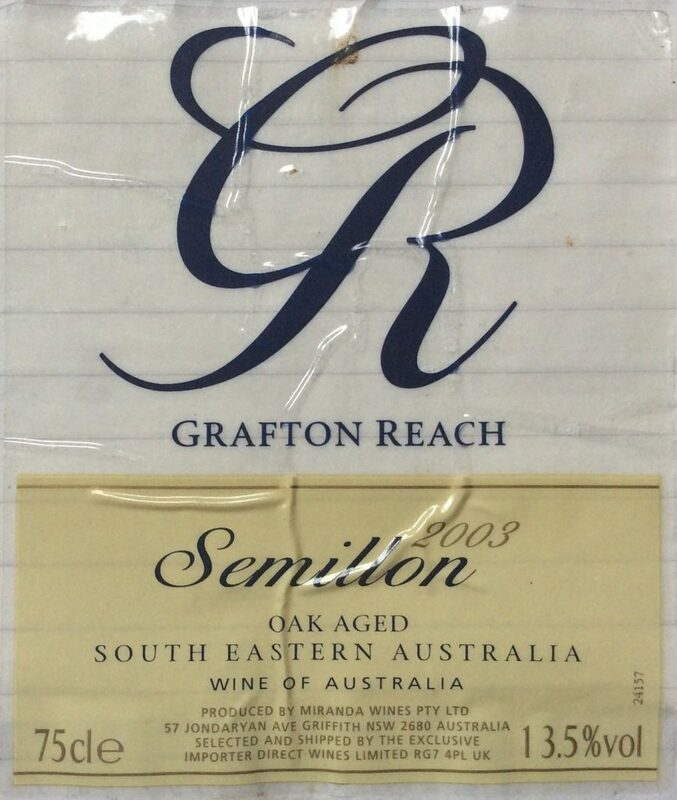 At first pass I thought this may have been “corked”, but quickly remembered a description of Hunter Valley Aussie Semillon as having “burnt toast” aromas. Definitely true of this one. But, initial burnt toast aromas gave-way to buttered, burnt toast aromas, which then developed (like peeling away an onion) into buttered, roasted corn-on-the-cob. After a day, this developed into mirabelle aromas over very dry / acid fruity flavours and a medium or short finish. Pale-mid-straw colour. Overall, interesting.